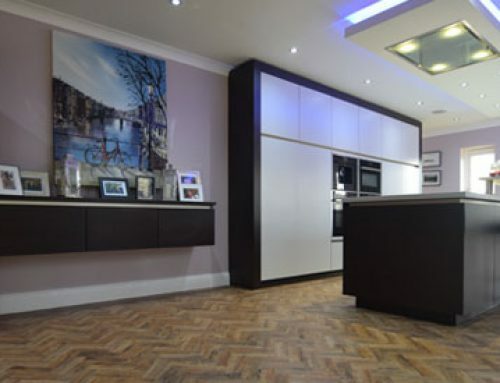 PROJECT OVERVIEW: Luxury Flooring Manchester were contacted to advise on instaling a herringbone parquet flooring. 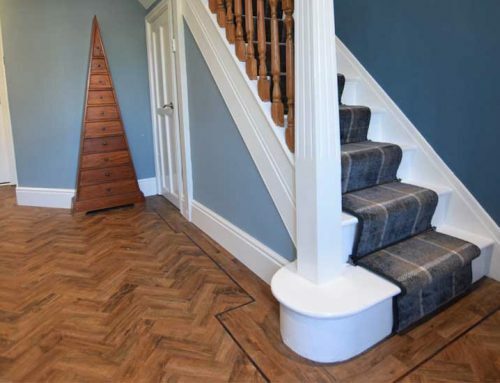 After a recent extension to their residential property in Didsbury, the customer wanted a new designer floor that would work with their current wooden floor within their hallway. 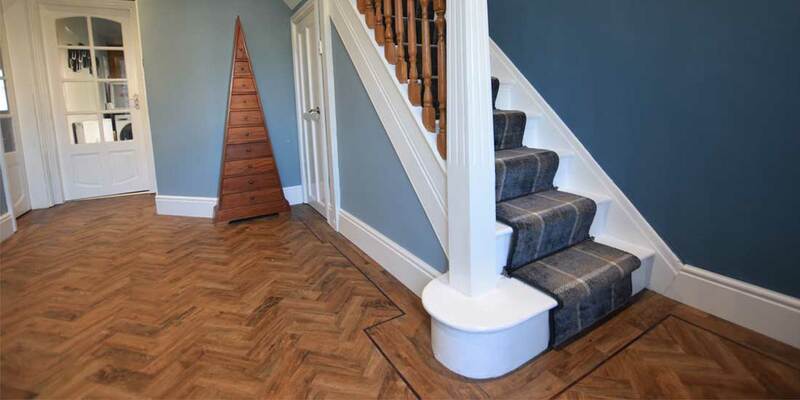 We specified a beautiful oak effect by Polyflor Camaro, Georgian Oak which came in within budget but more importantly was fitting in both colour and style. 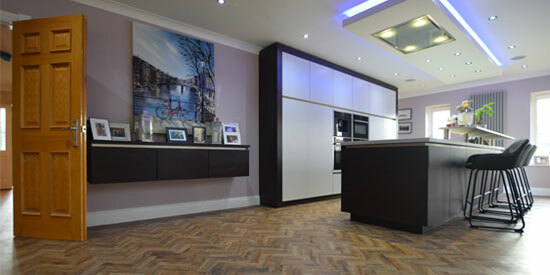 The customers agreed that this was the perfect floor for their home. 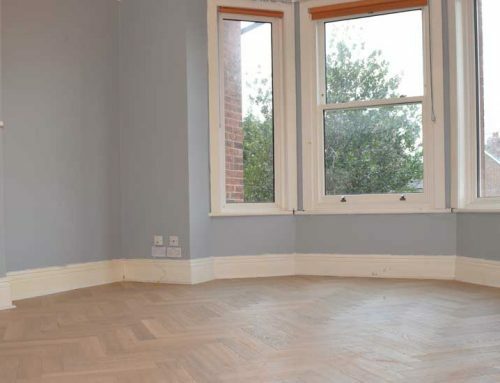 All skirting boards had already been removed so we began this project by ply boarding over the floorboards. 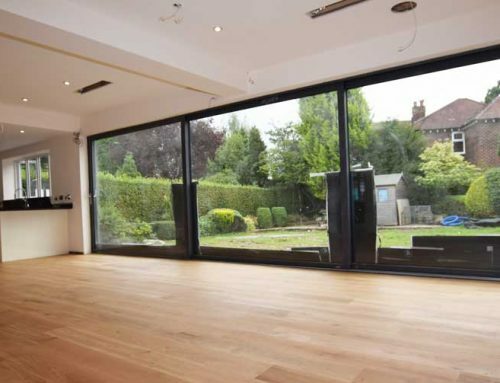 Once the ply was complete we then installed a surface epoxy damp proof membrane over the subfloor that had a recent concrete slab. 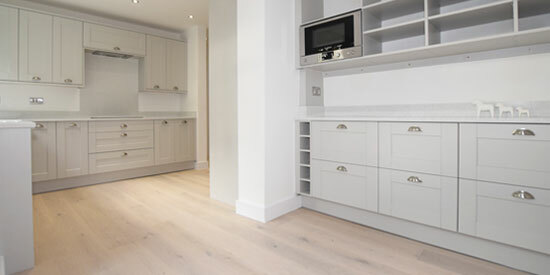 We built up the areas that had the DPM installed, with screed, to the level of the ply-board. 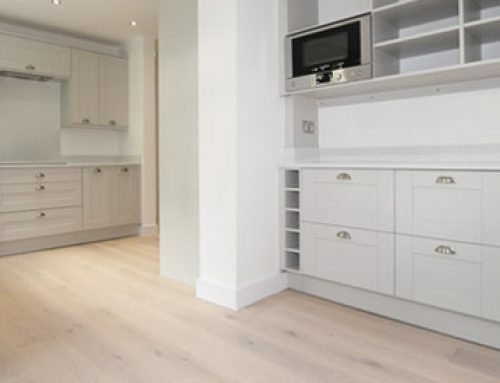 Upon establishing a structurally sound subfloor we began stage 1 screed throughout the adjoining areas. 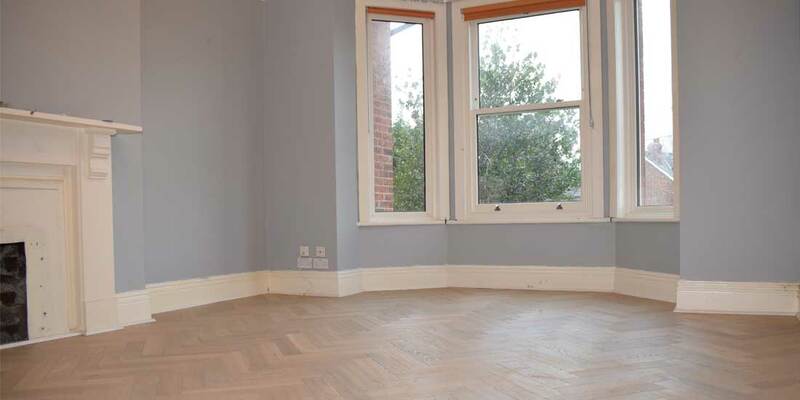 Commence floor Installation with a double border and marquetry strips.